Royal Lochnagar Scotch Whisky Distillery was built in 1826 and is located in the Highlands region of Scotland. It produces the Royal Lochnagar 12 Year Old Single Malt Whisky and is owned by Diageo. Contact information for this distillery are Royal Lochnagar Distillery, Ballater, Aberdeenshire, AB35 5TB and the phone number for the distillery is +44 (0)1339 742273. If you like to contact the visitor centre please call +44 (0)1339 742700. 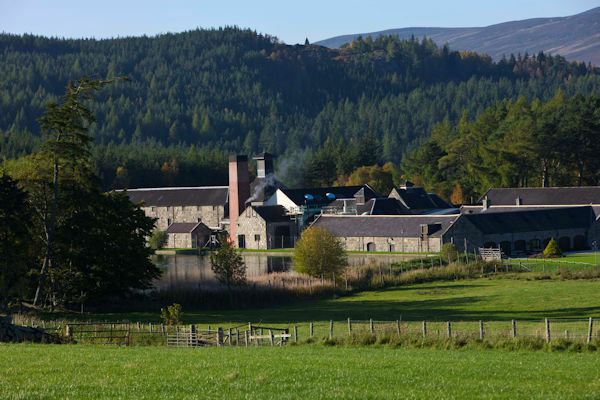 If you would like to see local accommoadtion near this distillery for your whisky trail please visit the page on this site for the Accommodation near Royal Lochnagar Scotch Whisky Distillery.